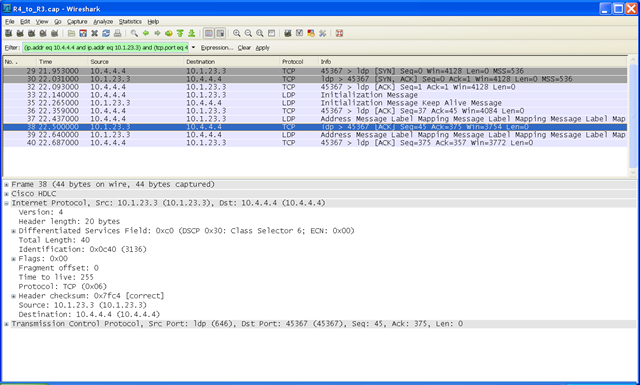 Check whether TDP or LDP is enabled on the routers and that the neighbors use the same protocol. TDP and LDP are not compatible with each other. This field indicates the capacity of traffic engineering on the interface. This field shows the status of the LDP. The establishment of an LDP session between two routers requires a session TCP connection by which label advertisements can be exchanged between the routers. 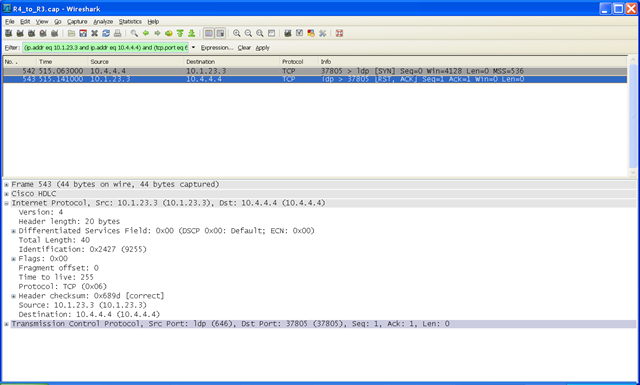 To establish the session TCP connection, each router must know the transport address (IP address) of the other router. The LDP discovery mechanism provides the means for a router to advertise the transport address for its end of a session TCP connection. The transport address advertisement itself may be explicit, in which case it appears as part of the contents of discovery hello messages sent to the peer, or implicit, in which case it does not, and the peer uses the source IP address of received Hello messages for the peer’s transport address. The mpls ldp discovery transport-address command provides the means to modify the default behavior described in the Defaults section of this document. When the interface keyword is specified, LDP advertises the IP address of the interface in LDP discovery hello messages sent from the interface. 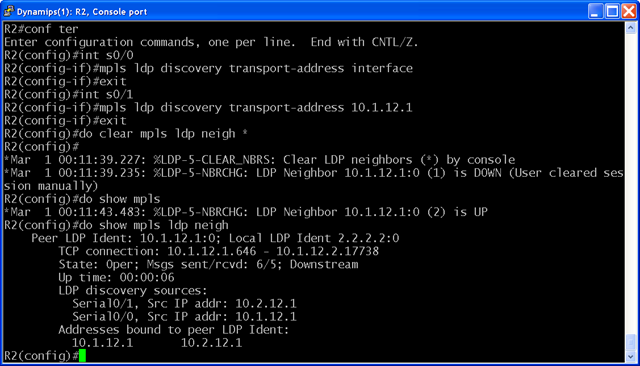 When the IP-address argument is specified, LDP advertises the specified IP address in LDP discovery hello messages sent from the interface. 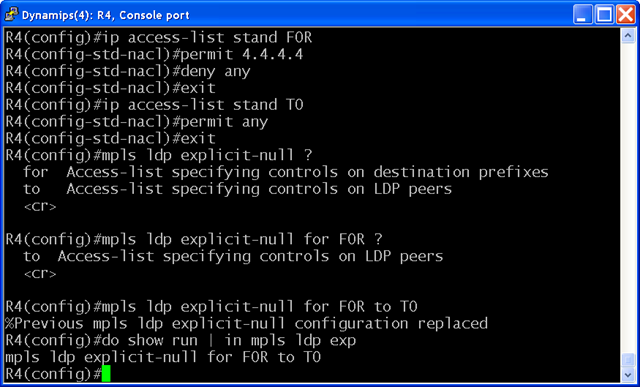 or to disable LDP on selected interfaces, use the no mpls ldp igp autoconfig command. When you issue the mpls ldp explicit-null command, Explicit Null is advertised in place of Implicit Null for directly connected prefixes permitted by the prefix-acl argument to peers permitted by the peer-acl argument. 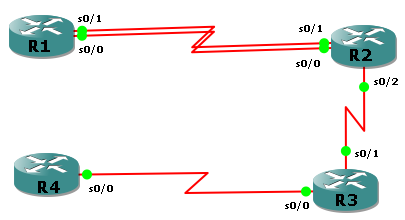 This configuration guarantees that packets with a ToS bit precedence value of 6 receive a specified percentage of the bandwidth of the designated outgoing links. Second, if you still experience a problem, use the mpls ldp tcp pak-priority command. 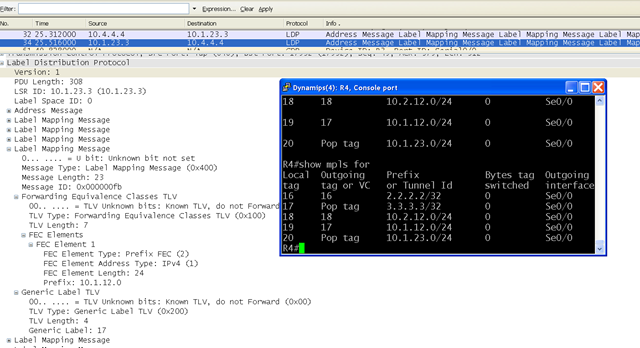 To bind a prefix to a local or remote label, use the mpls static binding ipv4 command in global configuration mode. The mpls static binding ipv4 command pushes bindings into Label Distribution Protocol (LDP). LDP then needs to match the binding with a route in the Routing Information Base (RIB) or Forwarding Information Base (FIB) before installing forwarding information. The mpls static binding ipv4 command installs the specified bindings into the LDP Label Information Base (LIB). LDP will install the binding labels for forwarding use if or when the binding prefix or mask matches a known route. Static label bindings are not supported for local prefixes, which are connected networks, summarized routes, default routes, and supernets. These prefixes use implicit-null or explicit-null as the local label. If you do not specify the input or output keyword, input (local label) is assumed. • If you specify the command name without any keywords or arguments, all static bindings are removed. • Specifying the prefix and mask but no label parameters removes all static bindings for that prefix or mask. The following commands were introduced or modified: debug mpls static binding, mpls label range, mpls static binding ipv4, mpls static binding ipv4 vrf, show mpls label range, show mpls static binding ipv4, show mpls static binding ipv4 vrf.